The retired captain was a young army officer in early 1971 when he was informed that he was being posted to East Pakistan. His father was a retired (senior) army officer and a coursemate of General Z, who was a two-star general in Dhaka. He called General Z and mentioned that his son was coming over and to “take care of him”. General Z said “I will do more than that for you old friend, I will put him on my staff, he will be totally safe”. Captain X arrived and joined Generaz Zs staff in Dhaka. His main job was to manage General Z’s various appointments and to arrange an endless series of lunches and dinners for the senior officers at Dhaka garrison. In the course of these duties, he became very familiar with the catering staff at Dhaka Intercontinental hotel. 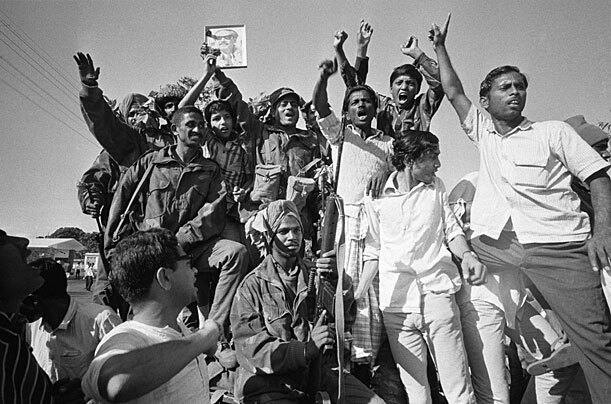 Life was easy and pleasant until December 1971, when bombing began in earnest and the war finally reached Dhaka. 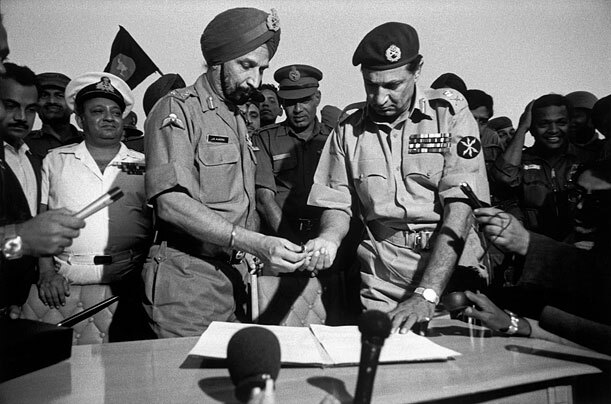 On the 16th of December, Eastern command surrendered to the Indian army and like everyone else in the Pakistani army, young captain X was depressed, sad and angry; but like everyone else, he gave up his side arm and became a POW. Initially the Indians were very disciplined and well behaved and the young officers were simply put under guard in their own officers mess. The General meanwhile had shifted to the Intercontinental hotel. By the next day, the Indian officers were getting drunk and some became rowdy and verbally misbehaved with their prisoners, but nothing too serious happened. That evening two young Indian officers showed up at the mess and asked for him by name. They had learned that he used to handle catering arrangements and they were planning a big celebratory lunch the next day and wanted him to help with arrangements. He told them that catering used to come from the Intercontinental hotel, so they put him in their staff car and headed that way. He was in the front seat with a driver and the two officers (both mildly drunk) sat in the back. On the way, the car got stuck in a mob of Bengalis shouting Joy Bangla and looking for collaborators and sundry enemies. When one of the officers (a Sikh) stuck his head out of the car, he was recognized as an Indian and the crowd started cheering and shouting slogans for the Indian army. As the crowd pressed around the car, the Indian officers thought they would have some fun and they told the crowd “this man is a Pakistani officer, how does he look now?”. The crowd immediately grabbed hold of captain X’s hair and several people slapped him and spat upon him. He held on to the door handle and fought for dear life as some of the crowd tried to pull him out. This went on for a few minutes and he was badly beaten around the head and neck but he held on to the handle and they could not open the door. After initially laughing at his discomfort, the two Indian officers thought things were getting out of hand and told the driver to move on and pushed the crowd back. At the same time an older Bengali in the crowd started berating the crowd and saying “don’t kill the poor man, he is only a kid”. Pro-Indian feeling was high, so they got their way and managed to pull away. As they drove off, the Indian officers joked that “this is only a trailer, maybe we will bring you back tomorrow and watch the crowd finish you off”. Captain X was shaking with terror and humiliation. His clothes were torn and his face swollen. He was bleeding from several cuts. They got to the hotel and stopped at a side gate and he managed to ask the guard to call xyz from catering. As he was standing there waiting (the hotel being a declared safe zone, was off limits to most Indian soldiers) he suddenly spotted General Z standing at the main gate a 100 feet away, chatting with some people. The main gate was open and was only guarded by a hotel guard. There seemed to be no Indian soldier there. Thinking “these officers will probably kill me tomorrow”, and still stunned and bleeding from his beating, captain X saw his chance and took off for the main gate, shouting “General Z, General Z, please save my life, these Indians will kill me”. The Indian officers, taken by surprised, were a few yards behind him as he ran for dear life. General Z looked up, saw the captain, grasped the situation.. and ran. He ran inside the gate and shouted to the guard to close the gate. By the time captain X got there, the gate was closed. He stood banging helplessly at the gate, watching General Z running into the hotel as he screamed “Sir, they are going to kill me, Sir, please help!”. The two Indians caught up with him and gave him another thrashing. Then they took him back. He was never taken into the city again and spent the next year in captivity, dreaming of nothing else except the day when he would get back to Pakistan and kill General Z. When he got back, his friends (who had heard him say as much hundred of times) told his father about his plans. His father forcibly took him home and got him out of the army and made him promise never to see General Z again in his life. And of course, he broke off all relations with General Z. General Z called his father several times and even wrote to him to say “please listen to my side of the story first” but dad was done with General Z. Until one day, 10 years later, General Z, now retired and holding a senior civilian position (that being the norm in the army) came to their town. His staff showed up at their house, insisting that General Z wanted to meet for lunch. General Z himself called and spoke to Captain X’s mother, who was unable to say no and agreed to have General Z come over for lunch. Dad then searched his son’s room, found a pistol and took it away and locked him in the room, forbidding him to come down. Mom made him promise on her life not to do anything stupid. There was a very cold lunch, with dad absolutely refusing to say or hear anything about 1971. General Z came and left. They never met again. Captain X says if it was not for his mother making him promise on her life not to carry out his threat, he would have strangled General Z at that lunch with his bare hands. Many stories about East Pakistan are now recorded in various books written by Pakistani officers who served there, but this particular incident has not made it into history. In somewhat redacted form, I hope this post will preserve it for posterity.